Sunday morning 4:45am It’s Finger Lickin’ Good Yall, finger lickin’ good, Mike D what’s up!?. My brain comes around to some of the best alarm clock tunes known to man. I realize it’s almost 5am and time to get up and get ready for the drive to Starke. 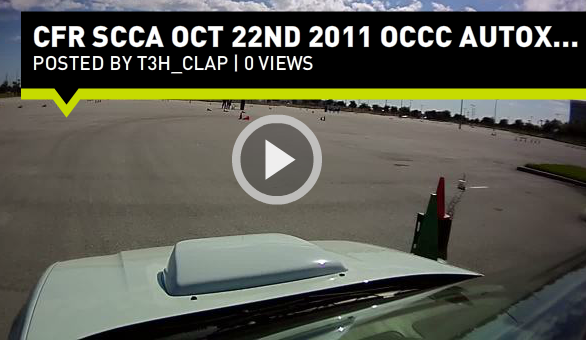 Quick background on FIRM, it’s reported to be one of the best event locations for an AutoX in FL. Everyone I spoke to simply said, “You have to go”. I asked for details and no-one would divulge much, I was a little worried to be honest. I wasn’t sure what to expect, the satellite imagery showed multiple different potential places to hold an event. Pulling into The FIRM at 8:05am signing the SCCA and FIRM liability waivers and driving down a curvy gravel road I start having a day dream/hallucination where I started hearing Nicky Grist giving me some pace notes. Luckily Abby brought me back before I did something stupid by saying “this road is bumpy”. 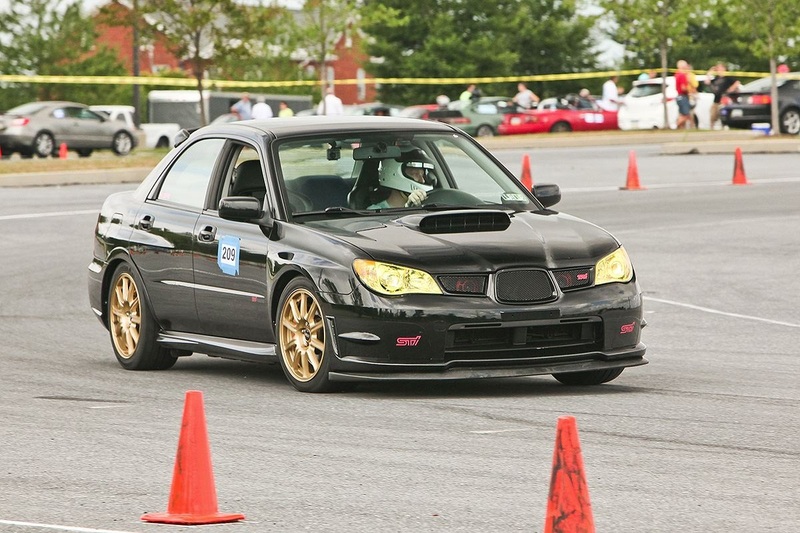 I shook my head a bit and realized I wasn’t in a GC WRC Rally Car, but in my STi setup for tarmac. ahaha. 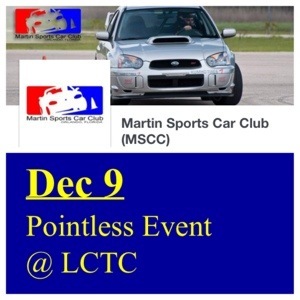 Martin Sports Car Club POINTLESS December event coverage. So far today we’ve seen the FTD change hands 10+ times. Great turn out for a pointless event. Nearly 50 cars with 13 novices. I left at 7 A.M. on half a tank and arrived roughly 35 minutes later. There was a small crowd gathered at that point and the registration table and tent was still being assembled. I unpacked the car and then made my way over. I registered, signed the waiver, grabbed my number, signed up for my work position, and made my way back over to my vehicle. After affixing my number I drove over and passed through tech inspection, everything a-ok.Â To my surprise, my co-worker came over and offered to help me out seeing as it was my first time. I wasnâ€™t aware he was coming and am quite thankful as he had some solid advice as we did a walk-through. Location:Â Gun Range Rd. Geneva FL. It seems to be a police gun range and a small run way/taxi area that doesn’t appear to be regularly used. The road leading to the runway is HORRIBLE!! holy crap is it bad. haha. Weather:Â It was cloudy all day but the temps were in the 50’s so I was content with a long sleeve shirt and a hoody for 90% of the day. It did sprinkle during the first run group but everyone got at least 2 dry runs. It didn’t rain in the afternoon. Car Prep, Course Walk, Tech Inspection:Â I got there EARLY, pulled in at about 7:15am behind the main organzier and course designer. 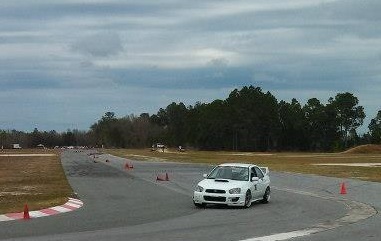 They already had a few guys setting up the course so I stripped the stuff out of my car. 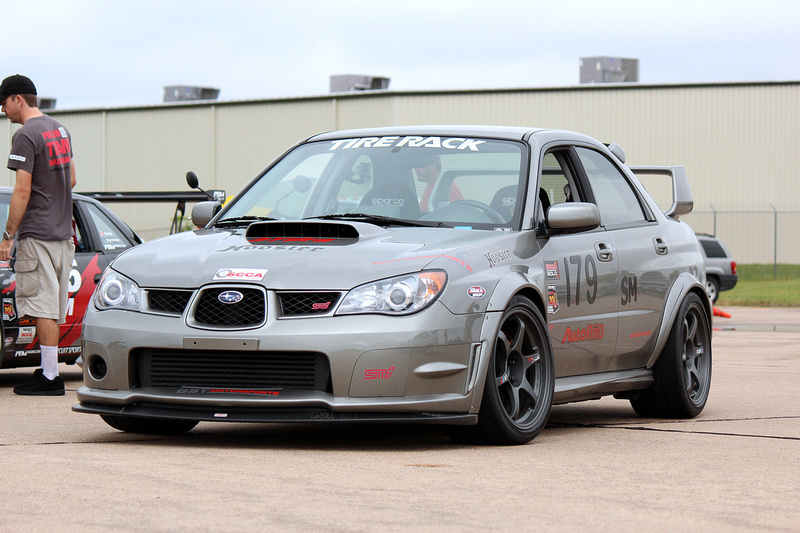 Quick little set of photos of the Karlton Flares in action at the 2011 Tire Rack SCCA Solo Nationals this past week.